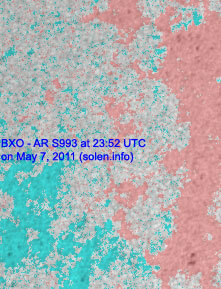 Last major update issued on May 9, 2011 at 04:30 UTC. 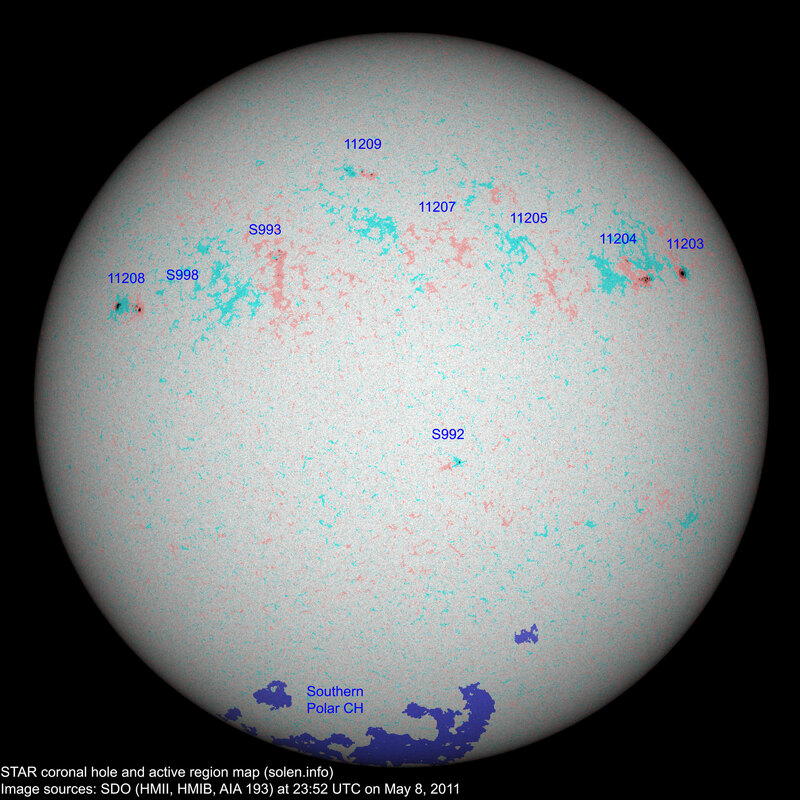 The geomagnetic field was quiet on May 8. 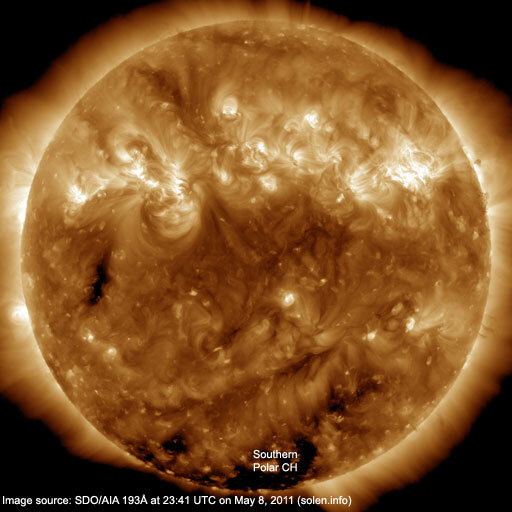 Solar wind speed ranged between 271 and 329 km/s. 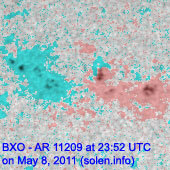 Solar flux measured at 20h UTC on 2.8 GHz was 102.2 (decreasing 3.6 over the last solar rotation). 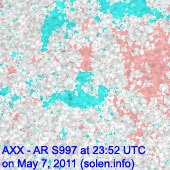 The planetary A index was 2 (STAR Ap - based on the mean of three hour interval ap indices: 2.0). 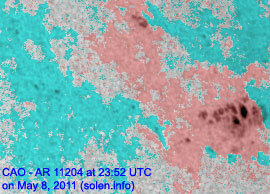 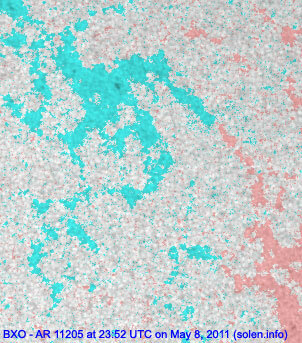 Three hour interval K indices: 10001011 (planetary), 10010111 (Boulder). 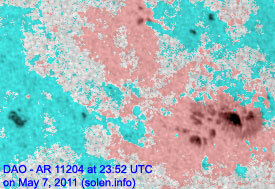 Region 11204 decayed and lost all penumbra on the trailing spots. 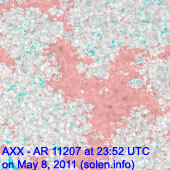 Region 11207 was quiet and stable. 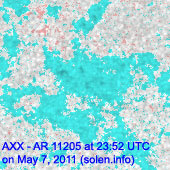 New region 11208 emerged in the northeast quadrant on May 7 and was numbered the next day by NOAA/SWPC. 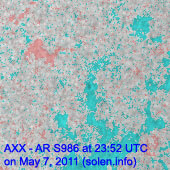 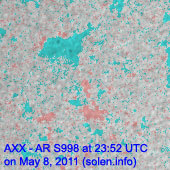 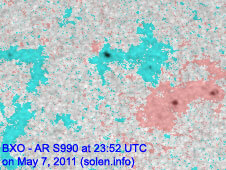 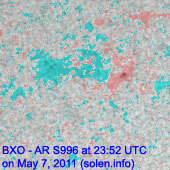 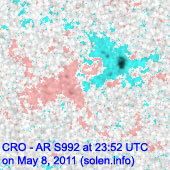 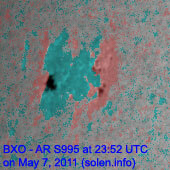 The region developed on May8 and may be capable of C class flaring. 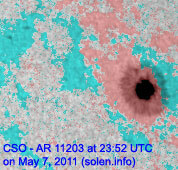 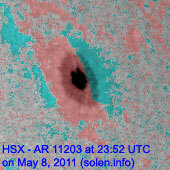 New region 11209 emerged in the northeast quadrant on May 7 and was assigned an SWPC number the following day. 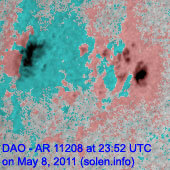 May 6-8: No obviously Earth directed CMEs were observed in LASCO and STEREO imagery.